This unison setting of the SATB chorus from Cantata 29, 'Gelobet sei der Herr, mein Gott', is based on Psalm 19: 1-2. 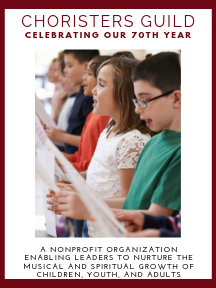 A variety of voicing options make this piece suitable for use with children's choirs, adult choirs, or with a combined children's and adult choir. Filled with traditional Baroque charm, singers will enjoy singing the work in both the worship and concert setting.